A practical guide to helping your women grow.Filled with personal stories, humorous examples and helpful advice, Discipling Women will guide you in how to invest spiritually in other women. Whether you are mentoring a new Christian, reaching out to a neighbor, or in full-time vocational ministry, Discipling Women gives the answers, lift and encouragement you need. There are several issues that can hinder a women as she grows spiritually. 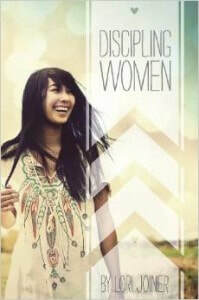 Discipling Women will assist you as you navigate through sensitive areas with your disciple. Topics include common issues women face today such as Daughters and Their Fathers, Eating Disorders, Abortion, Lesbianism, Sexual Abuse, Comparison, Imagination, Depression.